I was asked by a company to write about myself and my IPTV experience. I’ve left a lot out but here are the highlights. James has been playing with computers on and off since he can remember. As a youth he cut his teeth on the periphery of the Australian demo scene and BBS underground of the 80’s and early 90’s. He then followed his passion by studying Computer Science. During this time James became fascinated with using the computer as a visual instrument and developed software and hardware for the Amiga and later on the PC to allow output from the computer to be input to televisions and video projectors. James performed audio-visual displays at various nightclubs with DJs and bands as well as using his knowledge of networking to set up live CB-Chat, IRC and CU-SeeMe hook-ups with the audience. In the early 90’s he set up a warehouse, internet cafe and free ISP for electronic artists in Sydney Australia and co-founded the and ‘Kollektive’ and ‘Clan Analogue’ record labels. In the process of getting electronic artists online, James started looking into cheap hardware solutions that would enable people to use the internet via their TV. 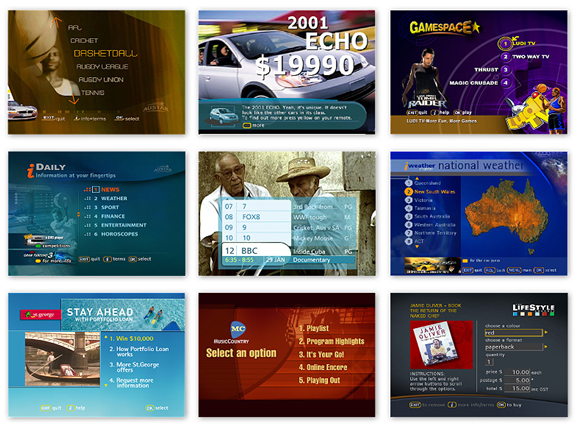 This led to research into the software and hardware required to create a product that would allow the general public to interact with internet services on their TV. This lead to the founding of a start-up, a crash course in importing, supply chain management, hardware manufacturing and some lucrative contracts in Asia just in time for the Asian Currency Crisis to wipe out all his clients. James continued to develop software and take a keen interest in IPTV and started working at Massive Interactive in 1998 first as Technical Director and then as Chief Technical Officer, a role he remains in today. 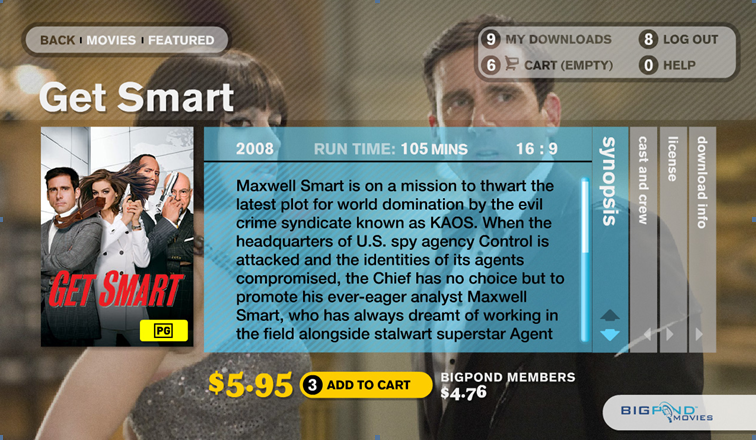 While at Massive Interactive James was able to use his skills with Sky and Austar, a local satellite TV provider via development of many interactive “Red Button” style applications using the OpenTV platform. For the first two seasons of Australian “Big Brother”, James ran the official IRC server that had a client that would also allow OpenTV, Java and Linux based devices to project the chat into the TV with the show. In 2005 James architected and built the Telstra/BigPond Movies application for Windows Media Centre, PC, ViiV, Xbox 360 and DLNA devices. 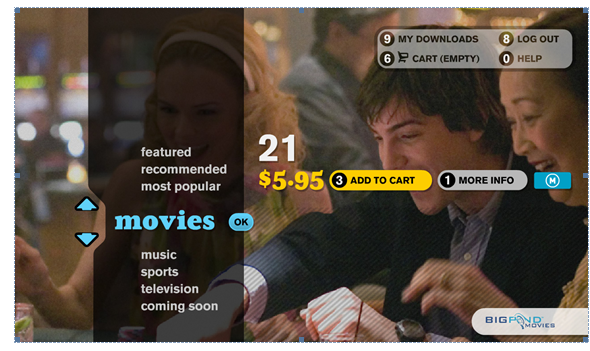 This allowed users to download movies and television episodes and watch them on their TV. This was nominated for a Technical Emmy. Since then James’s and Massive’s skills in the area of IPTV video on demand, catch-up and subscription services have been in high demand in various companies around the world. Understandably this has kept him fairly busy. James sees the emergence of Trick-Play/Time-Shifting and the erosion of audience and advertising revenue as a major threat to the free-to-air market. Combining that with his experience managing and formulating live competitive and interactive events James believes that we will start to see the emergence free to air broadcasts with a time critical interactive element to keep users engaged in “real time”. The great thing about Massive is that it really is a full service company when it comes to IPTV. User experience design, user interface design, front end development, back end development, systems integration, solution design, architecture and project and delivery management. 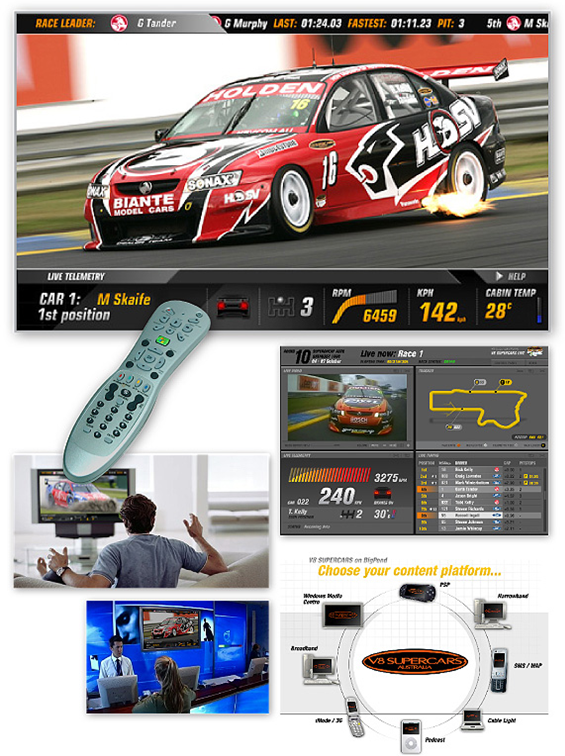 We design and develop IPTV applications at each every stage of the production pipeline. James has experimented with many single screen modes of interactivity and sees the new multi-modal/multi-device landscape as particularly exciting. The new Massive UI library means that the time and effort between an idea and a practical experiment is now greatly reduced. Here is a list of some of the IPTV/Media centric projects James has worked on. Consultant for the hardware and software selection for the Telstra T-Box. Architected and helped develop the first video on demand service for the Xbox360 in Australia (Microsoft/Intel/Telstra). Video on demand server and client prototype for Liberate Technologies. Architected and developed a real time sports telemetry system with both streaming and broadcast via PVR (Telstra BigPond). Architected and developed social media integration and media transcoding SaaS platform (Optus). Jame’s most recent research has been in looking at ways to move execution of mobile, web, tablet, and, IPTV applications into the cloud.